To determine colour fastness of textile to dry or wet rubbing, fitted with hand crank/counter. Provided with a steel specimen holder and 16 mm diameter test finger. The Crockmeter is a relatively simple rub tester commonly used to determine the amount of color transferred from textile materials to other surfaces by rubbing. 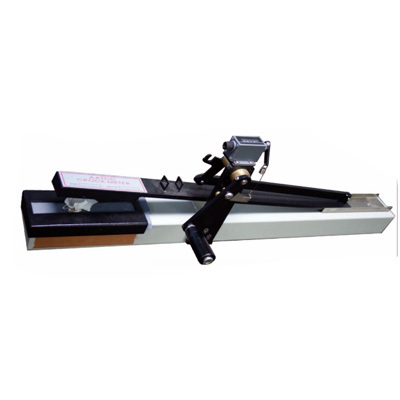 This instrument has also been utilized to conduct smudge or smear resistance tests on images produced by a printer or copier. For paints and coatings, the crockmeter is useful when evaluating the change in gloss due to rubbing, scuffing or marring.